Where can a window treatment’s available colors and fabrics be found on the website? You can see some of our favorite fabrics and colors up close by visiting any one of the product pages on the site. We encourage you to visit your local window treatment specialist to view the complete line of sampling in person. Where can I learn more about new products Hunter Douglas has introduced recently? New Hunter Douglas innovations are often featured on the homepage of this website. The easiest way to stay up to date with our latest innovations is to sign up for our free design newsletters (in the footer on every page) and we'll deliver that information right to your inbox. How do I find what levels of energy efficiency, UV protection, privacy and light control my window coverings provide? This information, and more, is available from your local window treatment specialist. UV stands for ultraviolet. Ultraviolet rays from the sun can be very damaging. It's important that our window treatments block the sun's UV rays to protect flooring and furnishings from fading and other types of damage. UV protection is the measure of the amount of potentially damaging ultraviolet radiation that is blocked by our products. Typically for non-sheer window treatments this is 98% to 99% blockage. 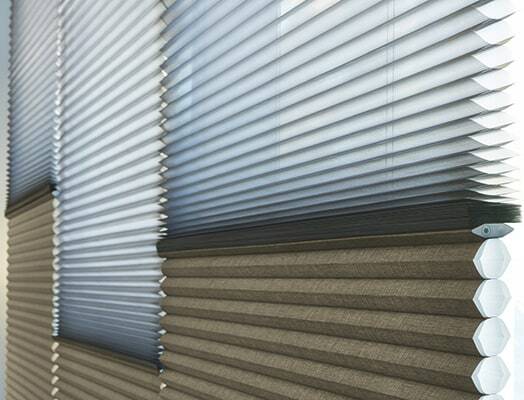 Even our sheer window treatments, like Silhouette® Window Shadings, block up to 88% of UV rays with the vanes open. What does "American Design & Craftsmanship" mean when associated with Hunter Douglas window treatments? All Hunter Douglas window treatments are designed and custom-assembled at state-of-the-art product development facilities and manufacturing and fabrication plants around the United States. (Please note that some Hunter Douglas Contract products are assembled outside the United States. Please visit the Hunter Douglas Architectural website for more information about our Contract products.) We believe truly exceptional American design and craftsmanship can't be matched anywhere else. What suggestions do you have for adding a top treatment to my Luminette® Privacy Sheers? 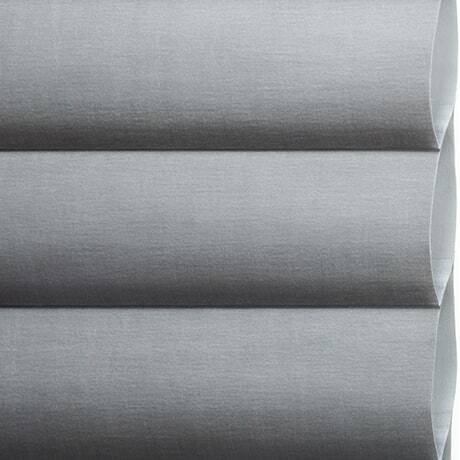 All Luminette Privacy Sheers knit face fabrics are available in the Accents By The Yard™ cut-yardage program. These fabrics are ideal for top treatments, such as swags and jabots, or can be used as an accessory for cornices or valances. Contact your Hunter Douglas specialist to order Luminette Accents by the Yard and ask for their assistance in designing top treatments. What is The Alustra® Collection? The Alustra Collection is a collection of Hunter Douglas fabrics and window treatments. From luminous sheers to stylish textures, innovative operating systems and decorative details, this collection provides inspirational options for individuals looking to express a unique interior design style. To see which window treatments are made in these premium fabrics, search "Alustra." Or visit a local window treatment specialist to see these fabrics and products in person. What is the difference between Duette® Architella® Shades and Duette® Honeycomb Shades? Duette Architella fabrics are similar to our standard Duette fabrics except that they have an inner layer of fabric—what we call our "honeycomb-within-a-honeycomb construction." This design offers many benefits, including superior energy efficiency and a softer look and feel. The extra layer of fabric also gives the color of the shade a richer appearance, as it prevents bright sunlight from washing out the exterior fabric color. 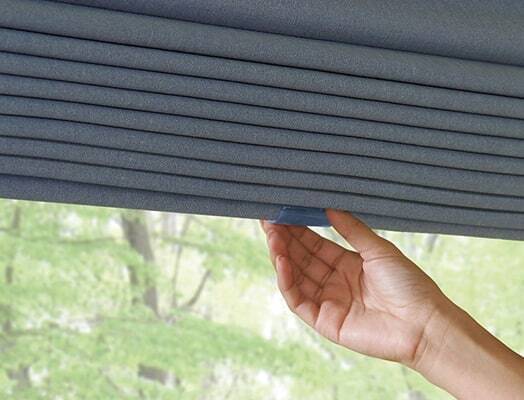 Our original Duette Honeycomb Shade offers various opacities and a wide array of fabric and color options in single-, double- or triple-honeycomb cells. What is the design benefit of using cornices? Our Parkland™ Wood Cornices provide a finishing touch to your window treatment. Besides looking elegant, cornices offer a much-needed measure of structural focus to any living space. More specifically, the placement of a cornice above a window frame tends to attract the eye upward, adding further height and space to your room. Hunter Douglas cornices are available in six profiles, so coordinating with your room's interior décor is trouble-free. With several colors and stains, your options are virtually endless. Take your pick: You can blend with your wall color or add an accent shade to your window design. Are Hunter Douglas window treatments safe for children and pets? All of our window treatments are designed with safety in mind—a responsibility we take very seriously. Visit our Child Safety page to read more and to download our Child Safety brochure. What is the difference between room darkening and blackout window treatments? Visit our Room Darkening & Blackout page for details on our window treatments that offer more room darkening benefits than others. Where can I learn about Hunter Douglas' different operating systems? Visit our manually operated systems page for manual options. And the motorized operating systems page to learn more about motorized options. Imagine a world where your window treatments can adjust themselves automatically, creating the perfect room ambiance morning, noon and night. That's the beauty of PowerView Motorization—recipient of the 2016 Red Dot Design Award, the most coveted and prestigious designation in the world of design. 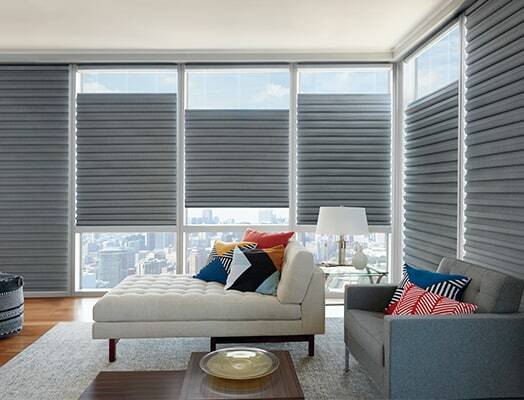 Learn more about PowerView Motorization or speak with your Hunter Douglas authorized dealer. Which home automation systems are compatible with PowerView Motorization? 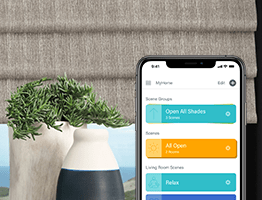 Whether you are just getting started or are a home automation enthusiast with many connected devices already in play, you can create a personalized whole-home connected experience by integrating PowerView Motorization with compatible smart home systems. For full details on compatible systems visit the PowerView Motorization compatibility page. Hunter Douglas products are unique. Each treatment that we ship is truly "one of a kind," as they are custom made just for you, in a North American facility. To insure that your experience shopping for and living with your Hunter Douglas window treatment is the very best it can be, our brand is only sold through a national network of professionally trained specialists who work with each consumer to ensure the perfect solution is found and expertise in home measuring and installation services are provided. That is why Hunter Douglas branded window treatments are not currently sold online. How do I find a Hunter Douglas dealer in my area? Visit our Authorized Window Treatment Specialist Locator and enter your ZIP or postal code. We'll show you a list of authorized specialists in your area. Where can I get a sample of one of your window treatments? Hunter Douglas color selections are represented in the Hunter Douglas sample books. Contact your local specialist for a current selection. Visit our Authorized Window Treatment Specialist Locator to find a dealer near you. Where do I find a dealer outside the United States or Canada? Visit our Hunter Douglas Group website for more information. Where can I obtain pricing for Hunter Douglas window Treatments? 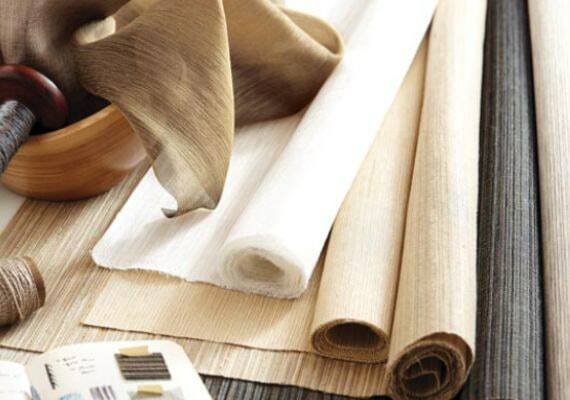 Due to the custom nature of our window treatments and the vast array of fabrics, operating systems and options available, our local authorized dealers can show you sampling and discuss pricing directly with you. What is a Hunter Douglas Gallery dealer? Hunter Douglas Gallery dealers offer a complete shopping experience, with premium displays and our full line of products. To visit a store, request an in-home consultation or contact a local dealer, visit our Locator. Post-sales support: Important things to know. The Hunter Douglas Lifetime Limited Warranty only applies to the original retail purchaser. Some products may not be repairable due to the age, availability of parts and/or condition of the product(s). Certain products must be sent back to Hunter Douglas directly for repair. In-home services for removal and reinstallation are not covered by the Hunter Douglas Lifetime Limited Warranty. In-home services are available in select markets only. Contact your Hunter Douglas dealer for a list of in-home service fees. Shipping, handling and other administrative fees are not covered by the Hunter Douglas Lifetime Limited Warranty. Hunter Douglas window treatments are custom made and therefore are not returnable/exchangeable unless defective according to the Hunter Douglas Lifetime Limited Warranty. You can, however, discuss options with your dealer who will work with you to determine what the possible solutions are. How do I arrange for window treatment repairs? Please contact your original Hunter Douglas dealer, but if that's not an option, contact the Hunter Douglas authorized dealer closest to you. Repair charges will usually apply (for example, shipping, removal, re-installation) and will be assessed by your dealer. For simple DIY repairs (for example, brackets, tassels, some cord replacements, handles, valance clips) we can direct-ship parts free of charge. Complete our Parts Request form and a Hunter Douglas representative will respond to your request weekdays, 8:30AM to 7PM ET. Will I be charged for window treatment repairs? Yes. You will incur charges for shipping, removal and re-installation. Your original dealer or another authorized dealer can provide you with a repairs estimate. Can I get free parts/instructions for a DIY repair? Absolutely! For simple DIY repairs (for example, brackets, tassels, some cord replacements, handles, valance clips) you can order popular parts and we'll ship them free of charge with repair instructions. For more complex repairs, contact your original dealer or complete a Parts Request form and a customer service representative will respond to your request weekdays, 8:30AM to 7PM ET. How can I find out which window treatment/operating system I have? Unsure what's in your window? Don't worry. It happens all the time. To identify your specific window treatment you can either explore the Hunter Douglas product categories and products on this website's Window Treatments page or use the Search feature to try to identify your product's name. Additionally, on each window treatment's respective Product Details page is a video representing each of the available operating systems for that window treatment. Find the video and you'll be able to identify the operating system by name. What does my Hunter Douglas warranty cover? Please visit our Warranty page to see what is and is not covered, or to register your window treatment. Can I get help with moving or re-sizing my window treatments? Yes! We'd recommend hiring a window treatment professional for more complex moves (for example, to windows of different sizes or specifications). Our authorized dealers can provide you with an estimate for removal, re-installation and/or any shipping charges incurred. Depending on the product you have, re-sizing of window treatments can be arranged. If the move is more straightforward (for example, to windows of the same size or specifications), see our available Operation Manuals for guidance. How do I unsubscribe from design newsletters and promotions? Every Hunter Douglas newsletter or promotion sent to you via email includes an Unsubscribe link so it's quick and easy for you to opt out at any time. If you have any concerns, please contact us a (800) 789-0331 or send us an email using the form on this page. Where can I find more information about the Hunter Douglas Commercial Product line? Visit our Hunter Douglas Architectural website for more information. Got another question? We'd love to help. Don't hesitate to contact us and a Hunter Douglas representative will respond to your request weekdays 8:30AM to 7PM ET.